It's a rug, for cyclists. 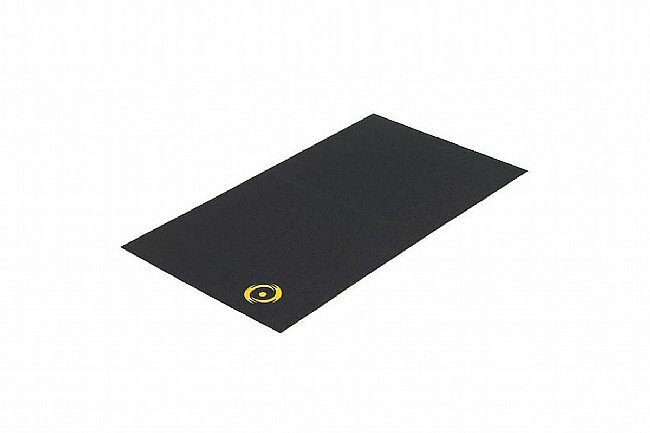 Push the coffee table aside and add a little pizzazz to your living space with the Cycleops Training Mat. Maybe not everyone in your household will approve of its looks, but they'll surely thank you as the 4 mm thick vinyl construction not only protects your floor from your stationary trainer, but it also helps absorb vibration and noise while riding along with keeping your trainer put during hard efforts. It can be easily wiped down with soap and water after workouts, and its heavy-duty design is made to last, weighing in at a robust 8 lbs. Dimensions are 64" long x 36.75" wide.